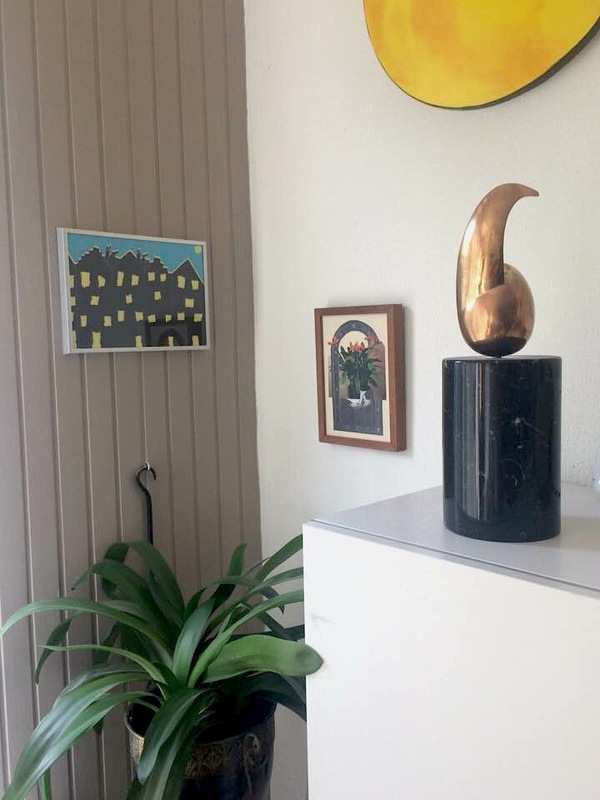 This month it was on show at Jubel, in gallery Kunstlokaal No.8, where it was sold to Dutch artist Olga van der Vorst. ‘Porta’ now found a home in a beautiful corner of her house, right above the clivia. The photo is by Olga van der Vorst. 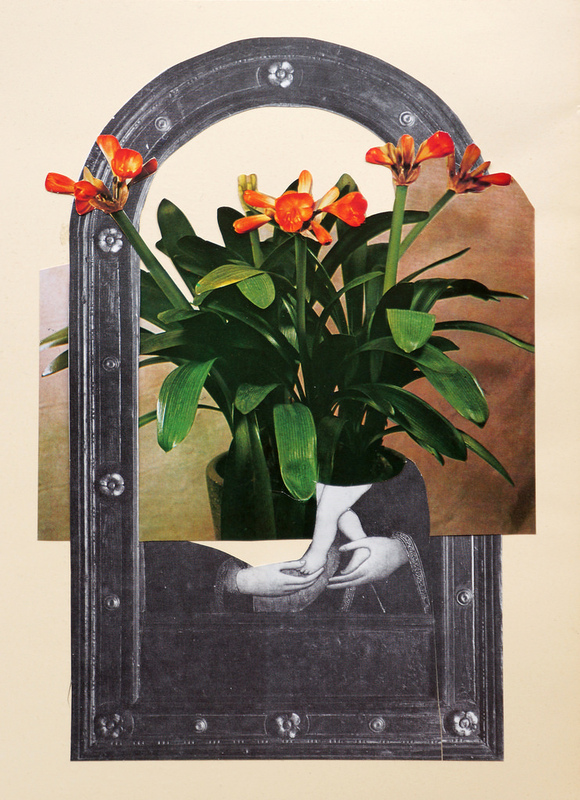 ‘Porta’ is part of the Madonna&Child collage series (2014). The whole series has been exhibited in the Amstel Church, Amsterdam SALON/BIGBANG. and in Museum Wierdenland. Porta itself was featured in the magazine Platform Platvorm and in the accompanying exhibition SHOW WHAT YOU WANT SHOW, together with a few other collages of the Madonna&Child series. Posted by mjaquet on 2018/08/22 in "group exhibition", collage, sold and tagged clivia, collage, maartje jaquet, madonna&child, porta.